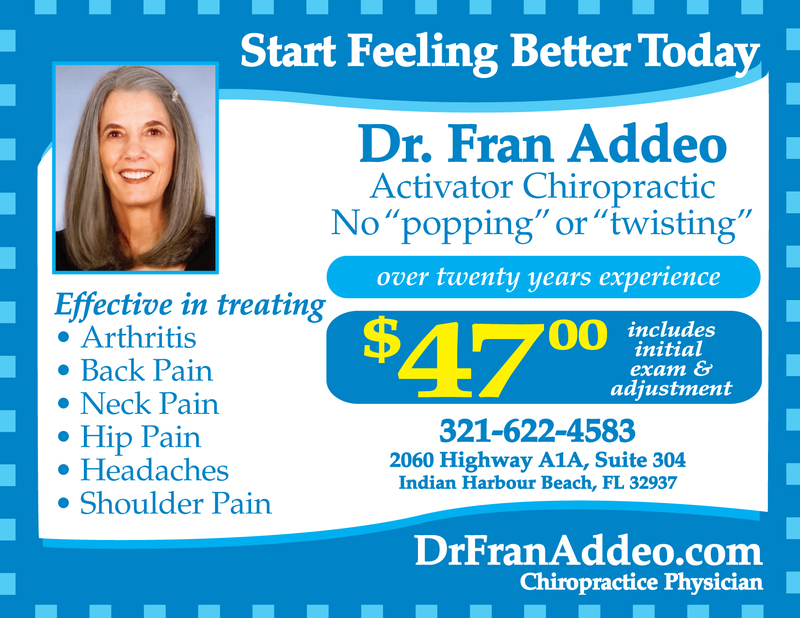 Dr. Fran Addeo, Activator Chiropractor offers our patient form(s) online so they can be completed in the convenience of your own home or office. "The doctor of the future will give no medicine but will interest his patients in the care of the human frame, in diet, and in the cause and prevention of disease." Dr. Fran Addeo is located on A1A in Indian Harbour Beach just one half mile north of Eau Gallie Boulevard. Dr. Addeo provides chiropractic care to Indian Harbour Beach and surrounding cities such as Indialantic, Melbourne, Satellite Beach, Viera and Melbourne Beach. Dr. Addeo has been a chiropractic physician for more than twenty years. She is dedicated to helping you achieve your health and wellness goals. She uses the Activator Method to adjust patients in her practice. The Activator Method offers relief from pain and helps you function at your full health potential with no "popping, "twisting," or "cracking." The Activator is a spring loaded chiropractic adjusting instrument that delivers a very precise light tap, instantly reducing nerve interference that is causing the symptoms. If you hesitated visiting a chiropractor, perhaps you did not know about the Activator Method. This chiropractic technique has been safely used for over 30 years to benefit a wide range of spinal health problems. Neck pain, back pain, shoulder pain, headaches and many more conditions can be corrected, without drugs or surgery! 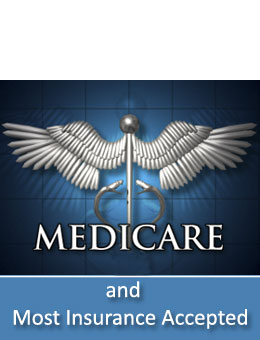 As partners in your health care program, Dr. Addeo is committed to your good health. Her gentle, caring manner, combined with her many years of experience, can help with many different health problems. 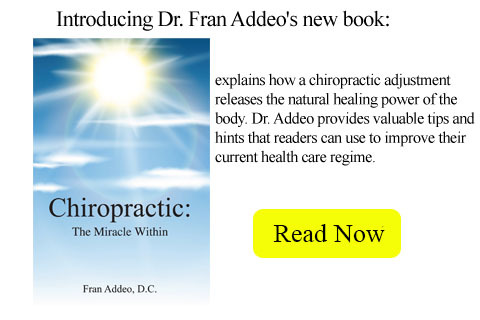 Dr. Addeo's book, Chiropractic: The Miracle Within is now available and she welcomes you to read a sample chapter in the "about us" section of this website. Do you suffer from headaches, low back problems, neck pain, or leg pain? Neck or shoulder pain, or problems such as allergies, asthma or indigestion? Chiropractic care can reduce the interference in the nervous system and restore health and well being. Find out if minor misalignments of the skeletal system are preventing you from feeling your best. You owe it to yourself to come in for a spinal exam/consultation to meet the doctor and learn more about how chiropractic care can help you. 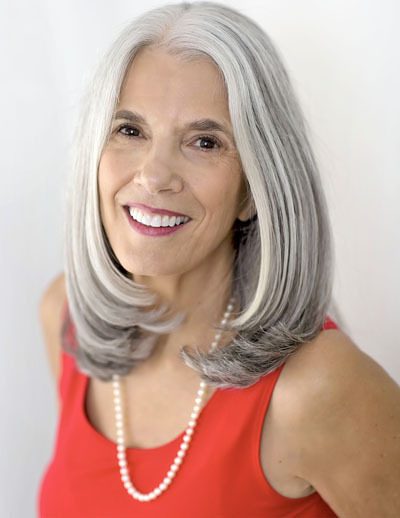 Dr. Fran Addeo considers her relationship with her patients as a "health partnership." She works closely with her patients, listening to their concerns. And she carefully explains her findings with them. Her goal is to get patients better quickly and release them from active care in as few visits as possible, thus saving them time and money. Patients can call and schedule periodic maintenance as needed. If you have not been to a chiropractor before and want to find out more, please contact us or call (321)368-6464 to receive the answers to your questions from our experienced team. We also welcome referrals, so we invite you to share our chiropractic and wellness information with your friends and loved ones. "Most effective, friendly, accessible help I've had in 30 years of back problems. Thank aplenty for the relief of aggravating pain. "Dr. Addeo is taking care of our entire family. She is comprehensive and highly experienced. There is nothing that she hasn't been able to resolve, and she keeps us in top shape, pain free."